Cindy Lamendola, MSN, ANP-BC, FAHA, FPCNA is a nurse practitioner/clinical research nurse coordinator at Stanford University School of Medicine, Department of Cardiology in Stanford, California. She received her MSN, from the University of California in San Francisco in 1997. In her current position, Ms. Lamendola’s time is divided between clinical research and clinical practice. Her clinical research focus is on insulin resistance, type 2 diabetes and its relationship to cardiovascular disease. Her clinical practice is focused on caring for complex patients with type 2 diabetes. Ms. Lamendola has been involved in cardiovascular nursing and primary and secondary prevention most of her career. Previously, she was an associate director/director of a large community cardiac and pulmonary rehabilitation program with a focus on risk factor education, lipid management and research. She also developed and managed a lipid clinic in a cardiovascular medical practice. 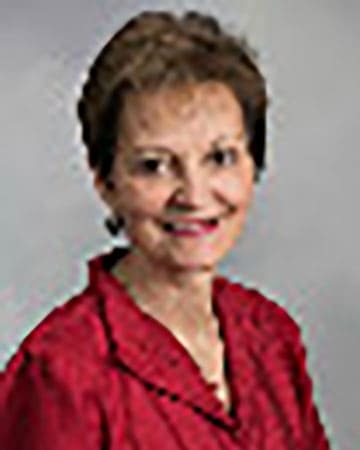 Cindy Lamendola is a founding member, past president and current board member of the Preventive Cardiovascular Nurses Association. She is also a member and fellow of the American Heart Association Council on Cardiovascular Nursing Council and participated in the American Heart Association Prevention Conference VI: Diabetes and Cardiovascular Disease Writing Group IV: Lifestyle and Medical Management of Risk Factors. She is also a member of the American Diabetes Association. Ms. Lamendola is past president of the California Society for Cardiac Rehabilitation and is a fellow of the American Association of Cardiovascular and Pulmonary Rehabilitation. She currently serves on the review board for the Journal of Cardiopulmonary Rehabilitation, and the Journal of Cardiovascular Nursing. She has spoken nationally on insulin resistance, type 2 diabetes, lipid management, and cardiovascular risk factors, and has also published articles in peer-reviewed journals on these subjects. She recently wrote a chapter on Insulin resistance, diabetes, and cardiovascular disease, in Cardiac Nursing, a companion to Braunwald’s Heart Disease.